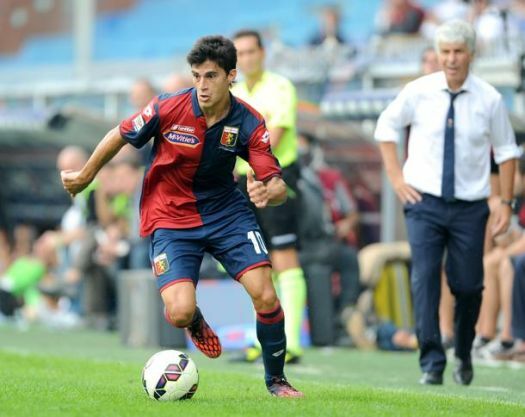 So far this transferperiod Genoa sold 3 players: Mauricio Pinilla (Atalanta), Leandro Greco (Verona) and Franco Mussis (back to Copenhagen). As substitute of playmaker Greco is hired Tino Costa of Spartak Moscow who after the match aginst Inter last Sunday now is heavily injured, so at the moment we don’t have a playmaker. 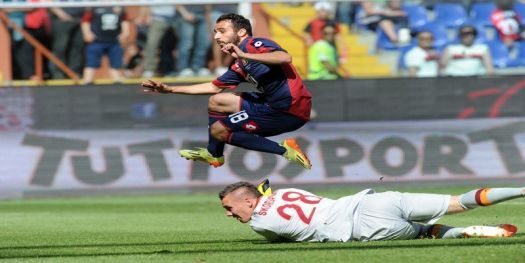 As substitute of Pinilla Genoa had an agreement with Goran Pandev (Galatassary) but Pandev is coming from a country outside the European Union and despite the fact that he played for over 10 years in Italy he is not allowed to join Genoa this transferperiod. Till last Sunday not a big problem, but now Alessandro Matri is injured for 45 days, so we do not have a central forward player. 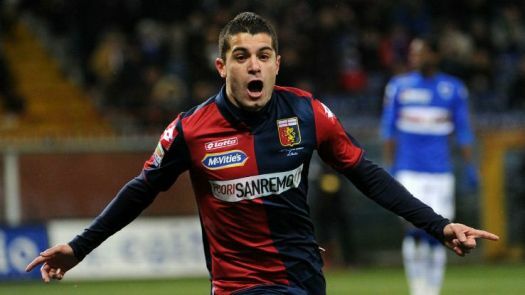 Before the match next Sunday against Sassuolo Genoa has to buy at least a new central forward. 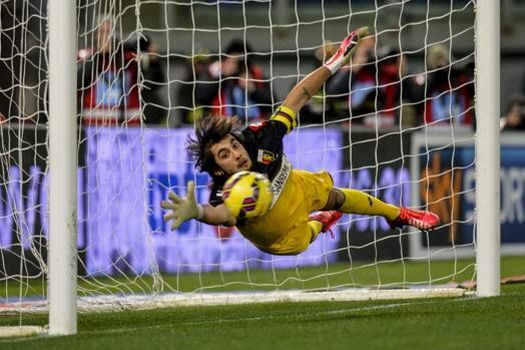 The names which are in the media: Borriello, Osvaldo and Destro, but we all hope for the return of Diego Milito ! 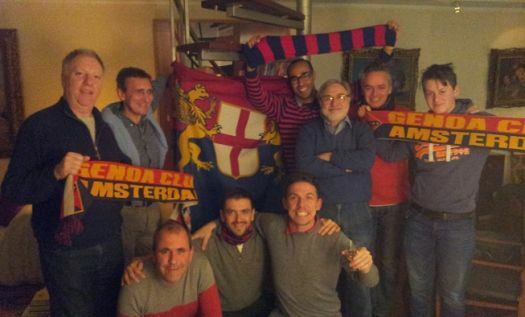 Last Sunday we met our Belgium friends of Genoa Club Bruxelles in the city-center of Amsterdam. After a lunch (with beer and a lot of old stories of course) in the famous Jordaan-area of Amsterdam we went to the house of G.C. 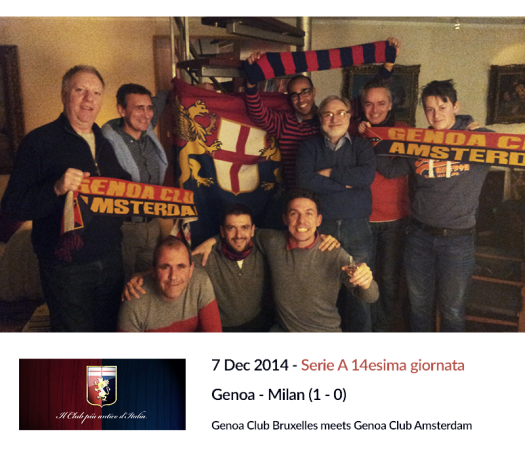 A’dam member Ezio Pesce to watch the topmatch Genoa – A.C. Milan on tv. 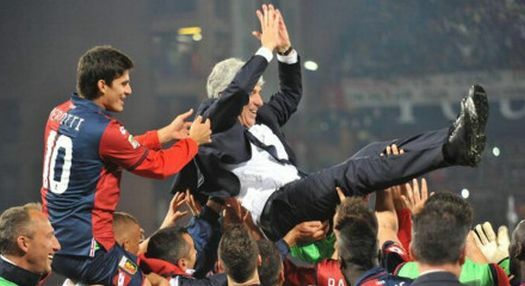 Both supportersclubs were present with 5 members and everybody was sure that after the victory against Juventus we would also beat Milan in Marassi. 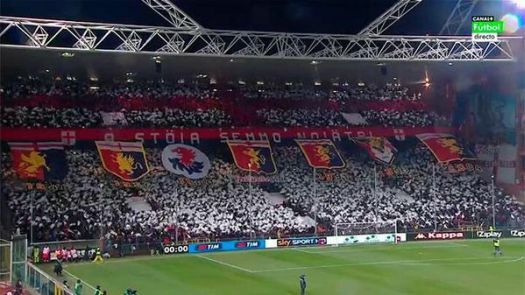 After 32 minutes Luca Antonelli headed the corner of Diego Perotti behind goalkeeper Lopez of Milan and the neighbours of Ezio heard us all scream: 1-0. 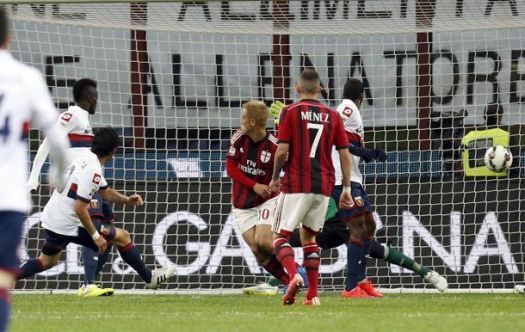 In the 2nd half Milan tried to score the equalizer but they only got half of a chance of Bonavetura who missed. After the victory that was celebrated with white wine and (of course) limoncello we went to the Pancake-bakery to end the very nice meeting of the Belgium and Dutch Griffins. 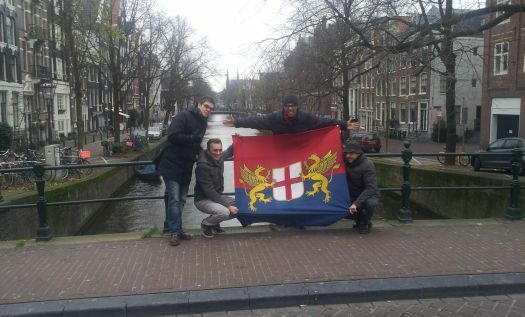 The next meeting is in March when the Olandesi go to Bruxelles and in May both supportersclubs go to hometome Genova to play the 7th United in the Name of Genoa tournament and to visit Genoa-Inter. 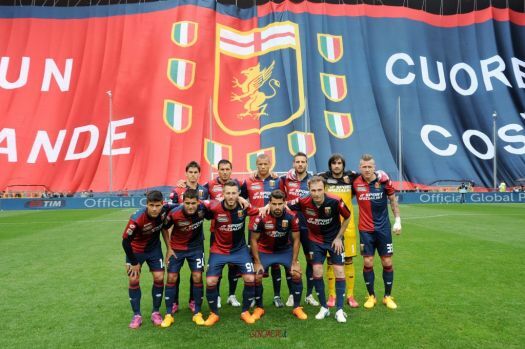 Believe it or not but our Genoa is 3rd in the standings of Serie A after 14 matches. 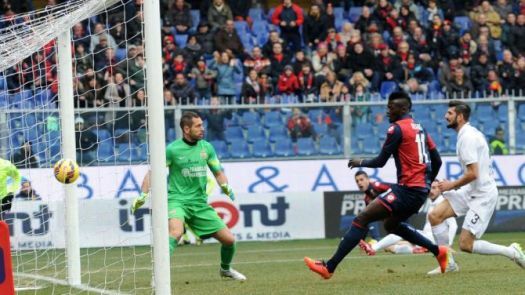 After the 1-1 draw at home against Empoli (Bertolacci) and the victory in Bentegodi against Chievo (1-2 by Matri and Pinilla) we have beaten Juventus in Marassi by a goal of Luca Antonini in the 94th minute. 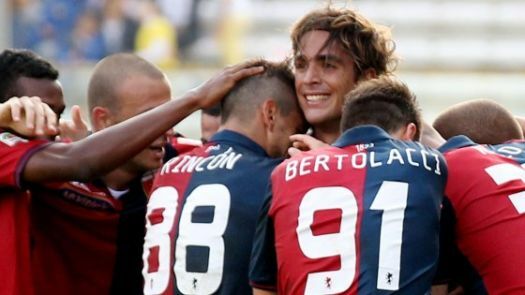 Another victory in Udine(2-4 with goals of Marchese, Falque, Matri and Kucka), 1-1 draws against Cagliari (own goal of Rossettini) and at home against Palermo (Antonelli) and a 0-3 victory in Cesena (Matri, Antonelli and Burdisso) brought us already on the 4th position in the standings close behind Napoli. 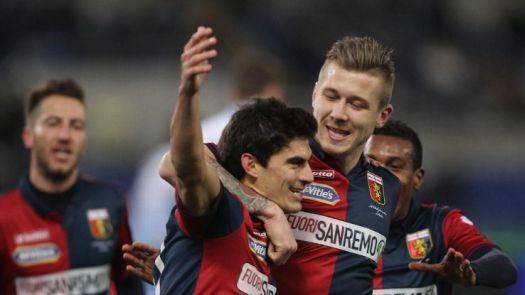 Last Sunday our friends of Naples draw 2-2 against Empoli and the header of Luca Antonelli gave us the 1-0 victory against Milan, so we are now third in the standings behind Juventus and Roma. 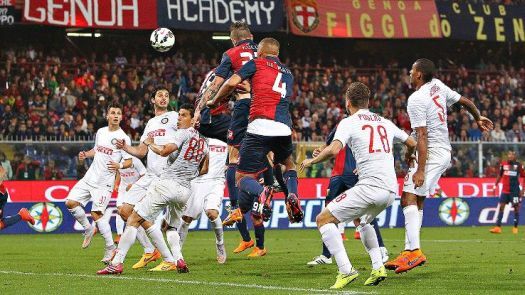 Next Sunday we play at home against A.S. Roma.